This superb collection of masterpieces features performances by the world's leading soloists and orchestras, including the Royal Philharmonic Orchestra and the National Philharmonic Orchestra. 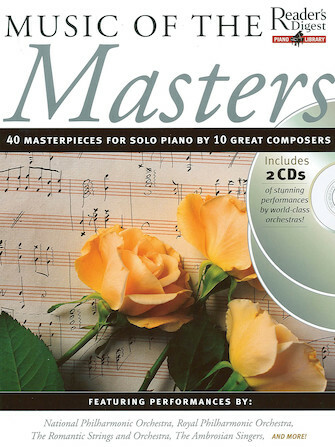 The two audio CDs are accompanied by a specially produced book containing the same pieces for solo piano or piano and voice. This edition features: Jesu, Joy of Man's Desiring • Symphony No. 6 in F Major “Pastoral” • Nocturne in E-flat Major Op. 9, No. 2 • Adagio in F Major • Minuet in D • and many more.